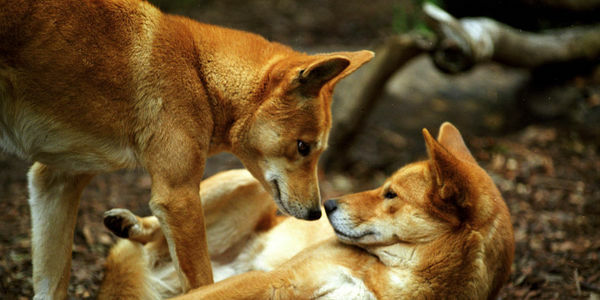 petition: Demand Australia to stop poisoning dingoes. The Australian government has authorized dingo “baiting programs” which allow farmers, not just wildlife officials, to lay poisoned bait to kill them. Why? Because they could not think of anything else, and they just cannot think of any other way to placate the angry ranchers who complain of their sheep which are getting killed. Killing one species to save another doesn’t make sense, and with all of the technology, and progressive forward thinking out there today, this is the best the government can come up with. This poor approach is not only nonsensical, but it is also creating a huge problem for the balance of the ecosystem. Removing large carnivores can result in simultaneous population outbreaks of herbivores and smaller predators. And these population outbreaks, in turn, can have deadly effects on smaller mammals. Here’s how that works: The absence of dingos in forests allows big grass-eaters like kangaroos and wallabies to flourish, as well as red foxes. While the swelling ranks of foxes feast on small ground-dwelling mammals, decimating their numbers, the growing population of herbivores clears away ground cover, making it even harder for those animals to evade foxes. Which means more little dead mammals and an ecosystem to devastated to recover. Poisoning of dingoes is counter-productive for biodiversity conservation, and we need to take a stand to bring this silly approach to a stop. Ranchers and government need to be engaged and a more proactive solution brought forward where both farmers and their livestock, can live in harmony with the indigenous wildlife; a solution that does not destroy an entire ecosystem. Let’s send a clear message to the Australian government. We will not stand by while you use outdated and cruel methods to protect livestock. Make a change now before it is too late.